Music Wanted. Music Needed. Music Collaboration with Lyricist, Spoken Word Artist. World Beat, Rock, Pop, Blues, Folk, County, Trip Hop, Rap. Collaborate Music. World Beat, Rock, Pop, Blues, Folk, Country, Rap. 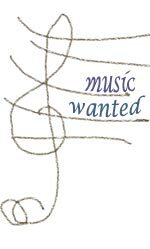 Music Wanted. Music Needed. Music Collaboration with Lyricist, Spoken Word Artist. Collaborate to Make Music. Hello, and what am I looking for? So, music wanted, music collaboration. That also means, I'm not looking to hire. Answer Two - about style. When it comes to style, the sky's the limit. My stuff varies enormously - rock, pop, folk, world beat, funk, blues, trip hop, country, rap, techno. Plus good old-fashioned waltzes. And more. The big thing: whatever the style, I don't want to force the piece into a conventional format - verse, chorus, verse, chorus, bridge, verse ... I care to have the music go with the piece. 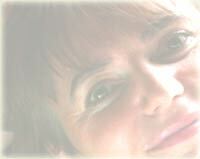 Yet I like things to be, as they say, accessible - meaning, I want the music to catch the listener, pull them in. I'd love to hear from you, and if it fits, to make music with you. Fields followed by an asterisk must be filled in. Check out what suits you. Country, rap, pop, rock . . .
World Beat: So Did You? Yes, collaborate to make music. with Lyricist, Spoken Word Artist. Rap. Plus. Collaborate to Make Music.